Israel’s Prime Minister, Benjamin Netanyahu, has said that members of the Israeli Knesset (MKs) are allowed to visit Jerusalem’s Al-Haram Al-Sharif compound. Spokesperson for the Palestinian Authority (PA), Yousef Al-Mahmoud, called Netanyahu’s decision a “blatant and serious provocation” which is “encouraging harm to one of Islam’s holiest sites,” according to Wafa. The occupation government under Netanyahu and the Trump administration are fully responsible for this dangerous escalation, which the Palestinian leadership and President Mahmoud Abbas have regularly warned against since it could lead the area into religious conflict. The move will allow Israeli MKs to visit the Al-Aqsa compound once every three months. The decision seemingly dismantles a previous agreement between Israel and Jordan, the custodian of Al-Aqsa Mosque and Al-Haram Al-Sharif, which has restricted MKs’ access to the site since 2015. Some MKs have visited the site during this period, including Yehudah Glick of the ruling Likud party and Shuli Moalem-Refaeli of the religious-Zionist Jewish Home party. Glick congratulated Netanyahu on his overturning of the decision, and called on him to make “a real change and allow MKs to go to the Temple Mount whenever they want,” according to the Times of Israel. Despite restrictions on visits to the site by MKs and Jewish Israelis, Haaretz reports that “the past year has seen an increase in the number of Jewish visitors” to the compound. Figures from Yeraeh, an organisation which encourages Jews to visit the site, show that more than 22,000 Jews have visited Al-Haram Al-Sharif since last September, the highest number since Israel occupied the Old City of Jerusalem in 1967. Allowing Israeli MKs to visit Al-Haram Al-Sharif is the latest in a string of Israeli challenges to the status quo on the compound. In April, Jerusalem’s Magistrate Court ruled that Jews storming Al-Aqsa can chant patriotic slogans such as “Am Yisrael chai” (the people of Israel live) as this does not count as religious prayers. It is forbidden under the status quo agreement for Jews to worship on the compound. Similarly in May, a group of extreme Israeli settlers stormed the Al-Aqsa Mosque courtyard on the first day of Ramadan, under the protection of Israeli forces. The General Director of the Jerusalem Endowment and Al-Aqsa Mosque Affairs Department, Sheikh Azzam Al-Khatib, said that worshippers and scholars from the compound, alongside Al-Aqsa guards, confronted the settlers and security forces. President of the Syrian Coalition Abdurrahman Mustafa received Yannick Tagand, Head of the Near East Department of France’s Ministry of Europe and Foreign Affairs and discussed with him the latest developments on the ground in Syria, especially in the south which is being subjected to a ferocious onslaught by the Assad regime and its allies. The assault has so far killed hundreds and displaced hundreds of thousands of people. “It became clear the size of inaction and indifference that has been shown towards the plight of the Syrian people. 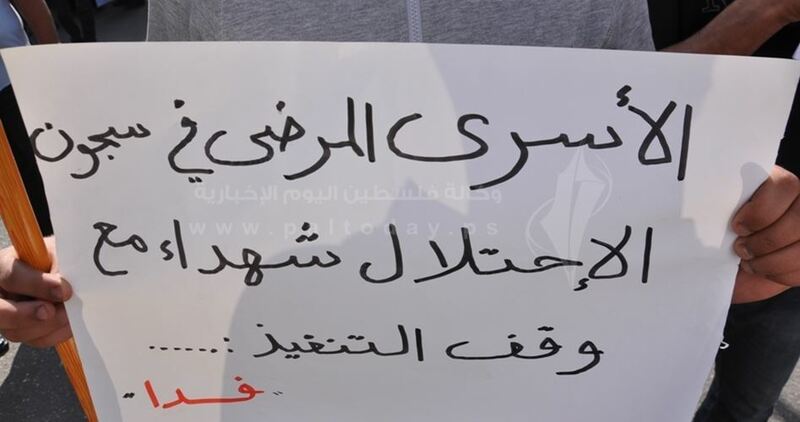 One cannot talk about the crimes of the murderer when this murder is left at large.” Mustafa pointed out that Washington’s position on what is happening in Dara’a reflects lack of seriousness and its real attitude towards the Syrian people’s aspirations for freedom dignity. Mustafa stressed that the international community has legal responsibility to protect civilians from barbaric bombings and military attacks against residential areas and infrastructure. Mustafa pointed out that the number of people who were displaced in Dara’a confirmed that the Assad regime was committing war crimes in that part of Syria. He warned that the ongoing onslaught would result in mass forced displacement and demographic change. Israeli military bulldozers demolished on Wednesday morning Palestinian homes east of Occupied Jerusalem under the pretext of unlicensed construction. 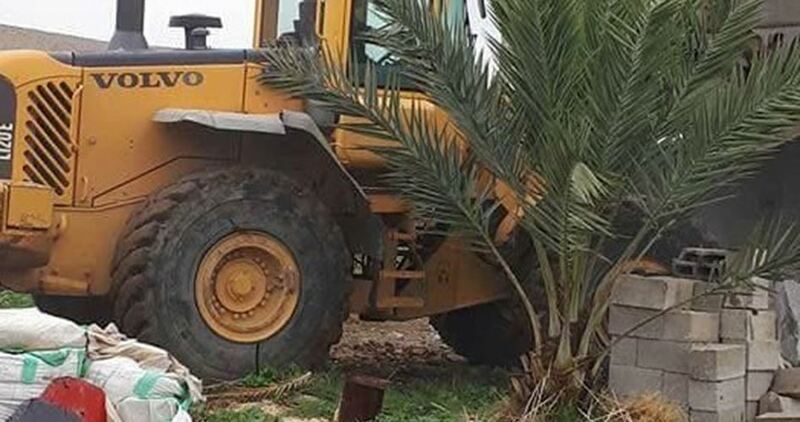 Israeli bulldozers rolled into Abu al-Nawar Bedouin community and carried out the demolition process, which targeted homes and livestock facilities. Abu Nawar community is home to 700 Palestinians living in tin shacks. Since 1948, dozens of Palestinian families have set up roots in Bedouin communities in Occupied Jerusalem after Israeli authorities forced them out of their homes in the Negev desert, south of territories occupied in 1948. The Israeli government has left no stone unturned to deport Abu al-Nawar residents, among other Bedouin communities, in favor of a so-called E1 settlement project which will be carried out at the expense of 12,000 dunums of Palestinian land stretching from eastern Occupied Jerusalem to the Dead Sea. The Palestinian Commission for Detainees’ and Ex-Detainees’ Affairs has accused the Israeli prisoner service (IPS) of pursuing a medical neglect policy against the Palestinian prisoners in its jails and not dealing seriously with their health problems. In a statement on Tuesday, the commission said that a number of prisoners with health problems suffer from harsh health and incarceration conditions as a result of this systematic Israeli policy. It affirmed that three prisoners with difficult medical cases are in Nafha jail, including an elderly prisoner complaining of several health problems. The commission also said that the Israeli early release committee in Eshel and Nafha jails shelved requests to consider the early release of two sick prisoners. Lawyer Yousef Nasasreh, from the commission, said the early release committee, which held a session in Eshel jail on Tuesday, decided not to look into the early release request filed for sick prisoner Raja’ie Abdul-Qader until Israeli doctors provided them with a medical report on his case. They set July 10 as a date to look into the file of prisoner Abdul-Qader, the lawyer pointed out. Prisoner Abdul-Qader, from Deir Ammar village in Ramallah, has liver and lung cancers. Another early release request filed for sick prisoner Sa’ied Musallam was also postponed until August 13, according to the commission. The early release committee justified its decision this time by claiming that there was a need for a report from the Shin Bet, Israel’s internal intelligence agency, about Musallam. Israeli soldiers abducted, on Wednesday morning, three Palestinians, including a child, from Tubas and Jenin in the occupied West Bank. The Tubas office of the Palestinian Prisoners’ Society (PPS), in northeastern West Bank, said the soldiers abducted Mohammad Yousef Odah and Qussai Mohammad Bisharat, from Tammoun town, south of Tubas. The two were working in occupied Jerusalem when the soldiers abducted them and took them to a detention facility. In addition, the soldiers abducted a child, identified as Sa’id Yasser Zakarna, from Qabatia town, south of Jenin, in northern West Bank. The child was taken prisoner after the soldiers stormed his family’s home, and violently searched it. Israeli Prime Minister Benjamin Netanyahu has reportedly threatened the Hamas movement of paying an intolerable price if it does not settle for Israeli peace terms. The Israeli occupation government held an official ceremony marking four years since its offensive against Gaza in 2014. Jpost quoted Netanyahu as saying that he advises Gaza leaders to choose truce, or to pay an intolerable price, according to Al Ray. 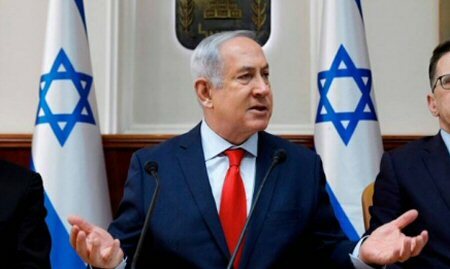 He added that Israel saves no efforts in order to return their soldiers from Gaza, noting that its better to work in secret. Al-Qassam Brigades, the military wing of Hamas, announced on 20 July, 2014, the arrest of an Israeli soldier named Shaul Arun, during an operation east of the Shuja’eyya neighborhood, east of Gaza City, during the ground offensive; however, the Israeli army announced his death. 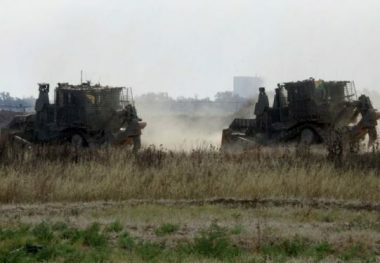 Earlier, in August of the same year, the Israeli army announced the loss of connection with soldier Hadar Golden, in Rafah, south of the Gaza Strip, whereas Qassam Brigades announced that it had lost contact with the group that captured him. Hamas demanded the release of ex-detainees who were re-detained after being released, as a part of the Shalit deal. Israeli occupation forces re-detained more than 50 people who were released in 2011, in a deal which saw the freedom of thousand prisoners carrying high sentences, in return for the release of soldier Gilad Shalit, who was captured on the border of the Gaza Strip, in the summer of 2006, and remained in the custody of the resistance movement for five years. On Tuesday, the family of soldier Hamar Goldin skipped the official memorial service for soldiers killed in Operation Protective Edge, in 2014. Fifteen other Palestinians were arrested during the demolition. Israeli occupation forces wounded 38 Palestinians and arrested 15 others during an Israeli military operation to demolish scores of Palestinian homes east of occupied city of Jerusalem. Residents of Khan al-Ahmar said that the Israeli bulldozers stormed their town and demolished their homes and livestock facilities. The Israeli occupation authorities claimed that the homes in the Palestinian town, which is home to 700 Palestinians, were constructed without licenses. However, the Palestinians established this town after they were violently forced out of their homes in Jerusalem by the Zionist gangs in 1948. Some of them descended from Al-Naqab. They were also driven out of their homes in 1948 by the Jewish Zionist gangs. The Israeli occupation government has been demolishing Palestinian villages and towns in favour of the so-called E1 settlement project which will be carried out at the expense of 12,000 dunums of Palestinian land stretching from eastern occupied Jerusalem to the Dead Sea. Azaria was found guilty of manslaughter and handed an 18-month term for the March 2016 killing of Al-Sharif. sraeli soldiers and settlers yesterday applauded and cheered as soldier Elor Azaria revisited the spot where he shot and killed a motionless Palestinian man who was lying on the floor injured in Hebron two years ago. Politician and extremist settler, Baruch Marzel, was among those who welcomed Azaria into the Tel Rumeida street, the site where Azaria shot injured 21-year-old Palestinian Abdel Fattah Al-Sharif. The incident was caught on camera and released by Israeli human rights NGO B’Tselem. Azaria was found guilty of manslaughter and handed an 18-month term for the March 2016 killing of Al-Sharif. Less than a month after his conviction, Israeli Army Chief of Staff Gadi Eisenkot reduced the sentence to 14 months. His conviction saw him receive a more lenient sentence than a Palestinian child who had been found guilty of throwing stones. 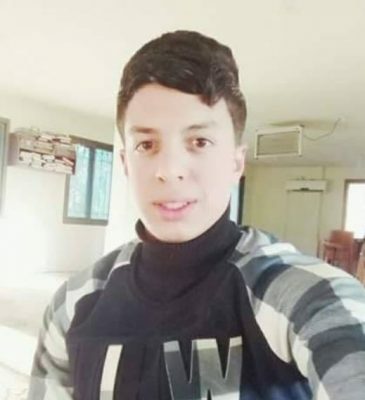 The Israeli soldier who killed Izz Al-Din Tamimi during a raid on Nabi Saleh village in the occupied West Bank on 6 June, shot the unarmed youth in the back as he fled, a B’Tseleminvestigation found.